I can't begin to tell you how happy I am that November is here. It's one of my favorites. We have lots of birthdays to celebrate in November, I can officially begin listening to Christmas music, Thanksgiving, cold days and warm fires... what's not to love? This month's mix is beautiful. Filled with slowed down gems, it's perfect for a season of hibernating in your cozy home. Of course, there are a couple of up-tempo tunes to keep you listening. But it's the gorgeous ballads like the new wedding version of 'Flightless Bird, American Mouth' that have really captured my heart. I hope you enjoy it! by 9am Friday, November 4th. P.S. 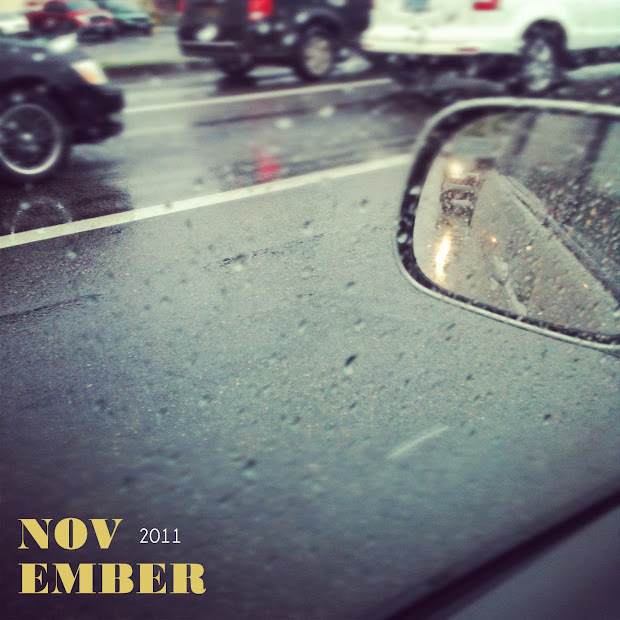 This month's cover picture is one I took on a rainy morning where I could finally begin to feel cozy fall in the air.